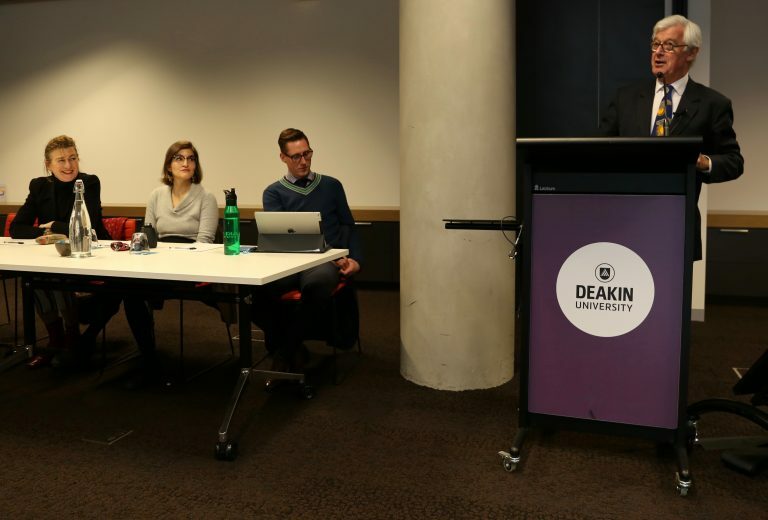 Centre Director Steve McDonald and Lecturer in Humanitarian Studies Nazanin Zadeh-Cummings participated in Deakin University’s International Studies: Careers Session and Networking Event, in August. 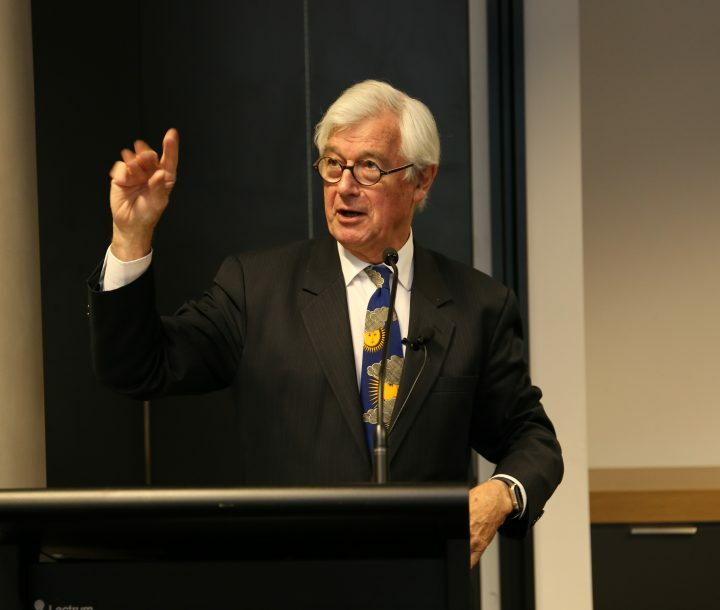 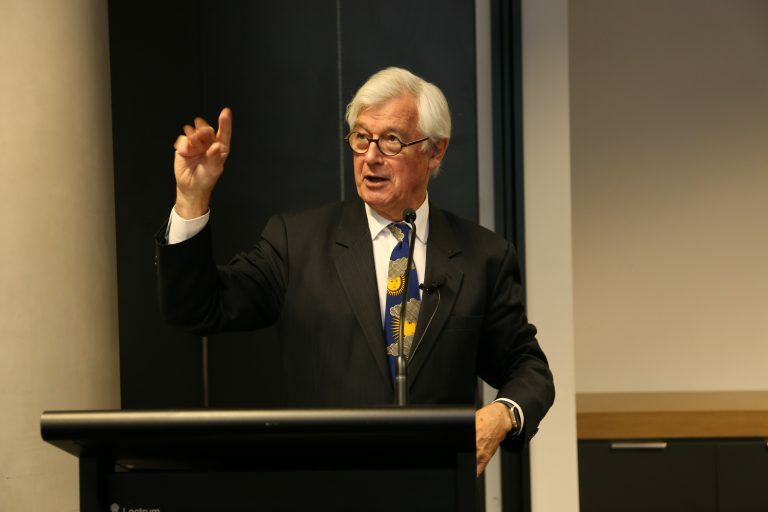 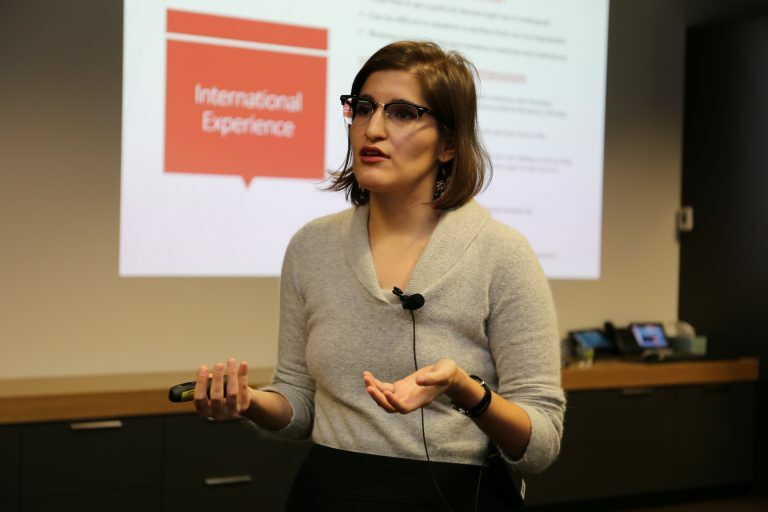 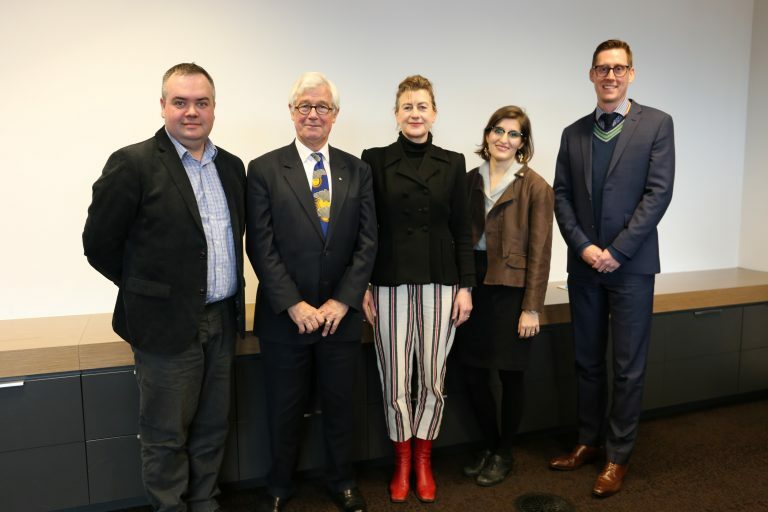 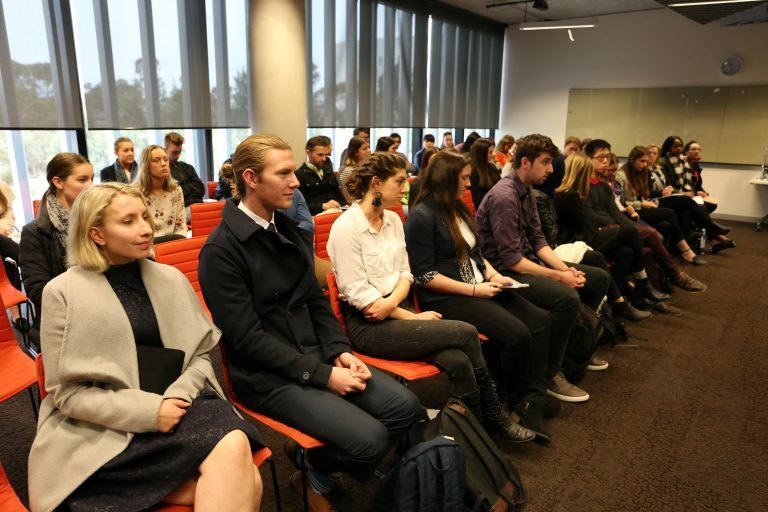 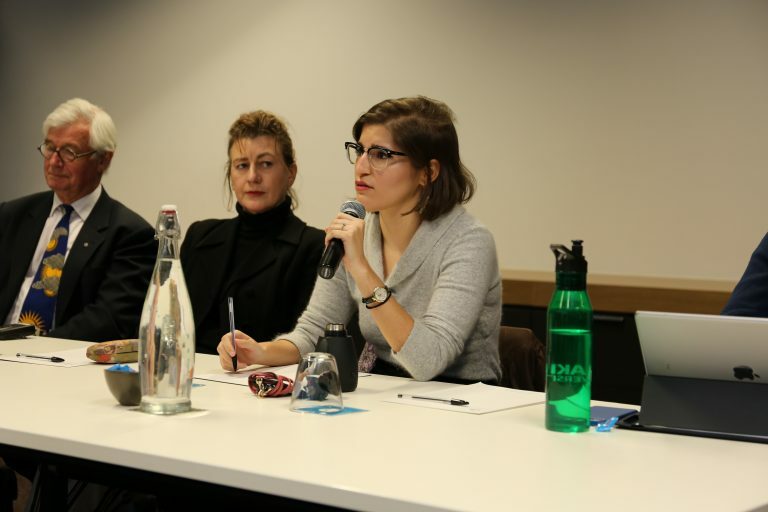 They joined a deeply experienced panel including Australia’s ‘living treasure’, Julian Burnside AO QC; John Bolton, Director, Business Performance and Finance, Deakin International; and Dr Fiona Hill, Strategic Advisor & Arab Cultural Evangelist. 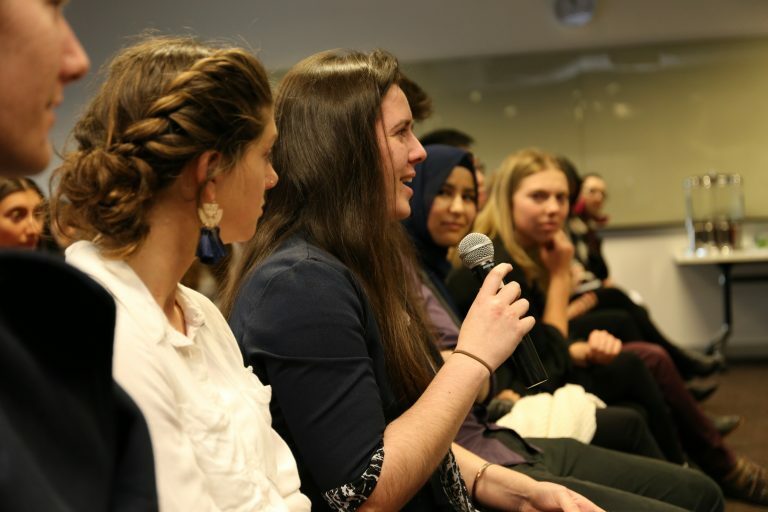 The panel shared personal stories and career highlights into a variety of different sectors including international finance, NGOs, international law, foreign affairs, and diplomacy.